In photography, as in life, timing is everything. Portrait artist Valerie Shaff has built a career, a home, and a life by mastering this truth. Best known for her intimate photos of the living and the wild, her work, born of patience and skill, captures and reveals the essence of the creatures—untamed and domesticated—that live amongst us. 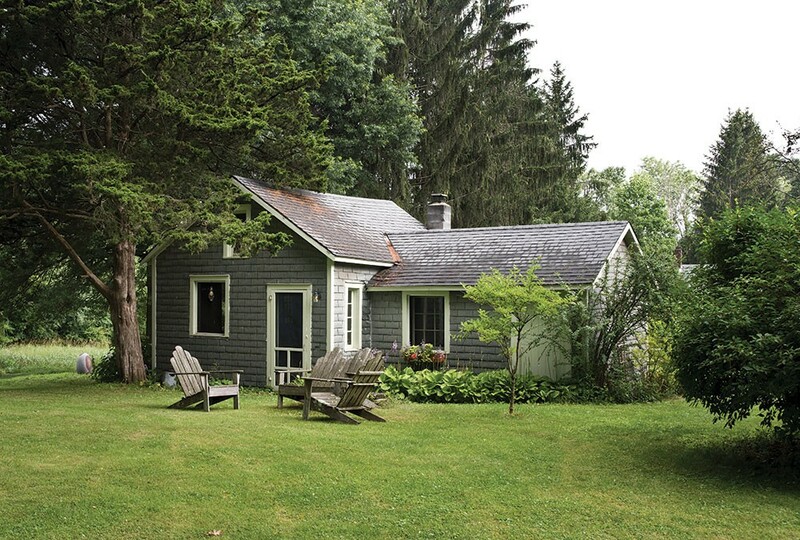 Shaff's cottage, overlooking a quiet road in Germantown, is an embodiment of this same creative principle. Designed by 19th-century landscape architect Andrew Jackson Downing and built in 1843, the carpenter gothic home, painted camouflage green, blends with the surrounding pastoral landscape. Rooted in egalitarian ideals, Downing's architectural plans rejected pretension and encouraged simplicity, usefulness, and reverence for the natural world. Symmetry and proportion, he believed, were the keys to beautiful composition, and a beautiful home should be accessible to all. 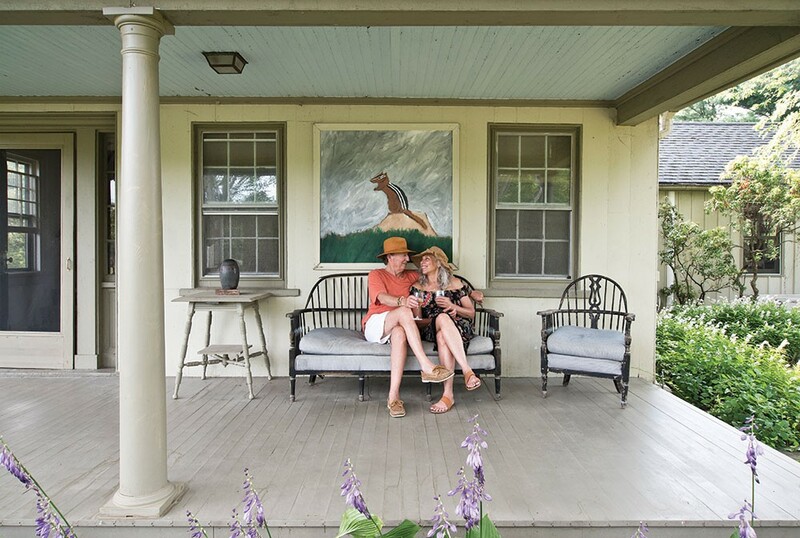 In much the same way Downing believed a home's interior should frame the surrounding landscape, Shaff's home serves as gallery for the fauna surrounding her. 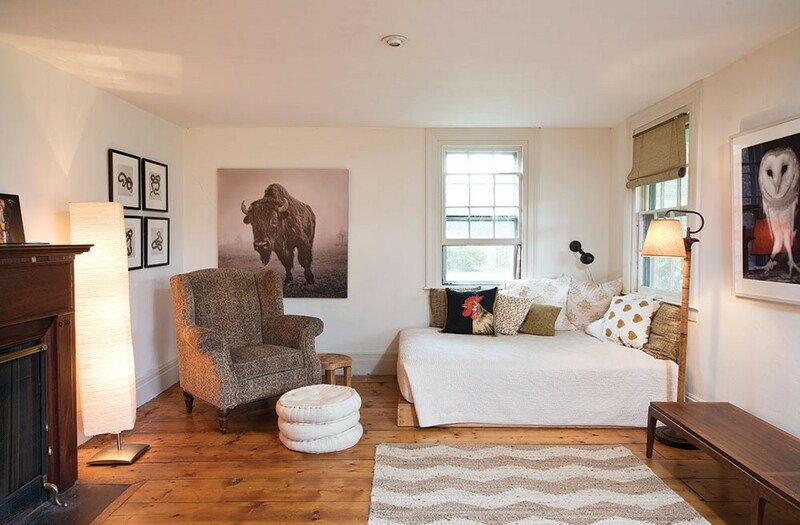 Hanging in simple frames along the home's interior walls and printed onto plush cushions lining couches and seats throughout the house, her diverse array of images offers a candid glimpse into the natural world. Animals are everywhere: Along the living room walls, snakes slither and a bison stomps. At the door to the downstairs bath, a dark horse is framed by a bright printed backdrop; on another wall there is a bright yellow duckling against a stark background of black. Shot with film then printed on canvas or material, Shaff's photographs seem as natural in the domestic setting as an otter swimming in a lake. A Westchester native, Shaff grew up in a family of artists and a home full of pets. "We had a menagerie," she explains, "there were golden retrievers, cats, hamsters, and turtles—my brother even had a pet piranha for a while. I was always fascinated by watching animals be who they are." At age seven, her parents gave her a camera and a love of picture taking was born. College years were spent at Bard, where Shaff began her studies as a painter. When the school started a photography department, it was only natural for her to lay down her brushes and pick up a camera, and Shaff shifted majors. After graduation, she took every opportunity available to make connections and further develop her craft, photographing everything from nightclubs to fishermen to historic homes for the architect Joseph Pell Lombardi. Shaff's talent for working with other species emerged in those early days of her career. It began with pictures of dairy cows she had often biked past during her time upstate. The series on cows lead her to study other farm animals and then to dogs—a creature that, like many people, she'd always felt a close affinity with. Those early canine portraits proved so popular a friend suggested she try a book. This was in the early days of Amazon and both her subject matter and the platform amplifying it were fresh. The combination of those factors proved to be combustible and the resulting coffee table book If Only You Knew How Much I Smell You, published in 1998 in collaboration with humorist Roy Blount Jr., sold a quarter of a million copies and landed her on the New York Times bestseller list. The success launched her to new professional and creative heights. By day, Shaff worked for a dog food company; in her creative hours she continued what was to become one of her life's major works. Her close, careful photographic study of animals took her to rescue facilities, sanctuaries, and farms. Along the way, Shaff encountered sheep, roosters, bunnies, dolphins, owls, wolves, and even rhinos and zebras. (Shaff's photo of a musk ox, Baby Highlander, appeared on the February 2004 cover of this magazine.) With each new encounter her passion for her subject matter deepened. 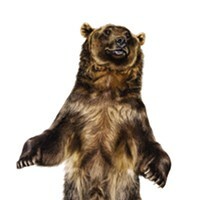 "It's such an honor," she says, "to be up close and personal with an animal you might not otherwise have an opportunity to connect with." Shaff was studying the natural world, but what she was really gaining was a better understanding of herself. "Living with animals is a lot like doing yoga," she explains. "Through the careful observation of nature, humans can have a reflective, meditative experience and also get in touch with our intuition. Animals can help us feel more magical about life." 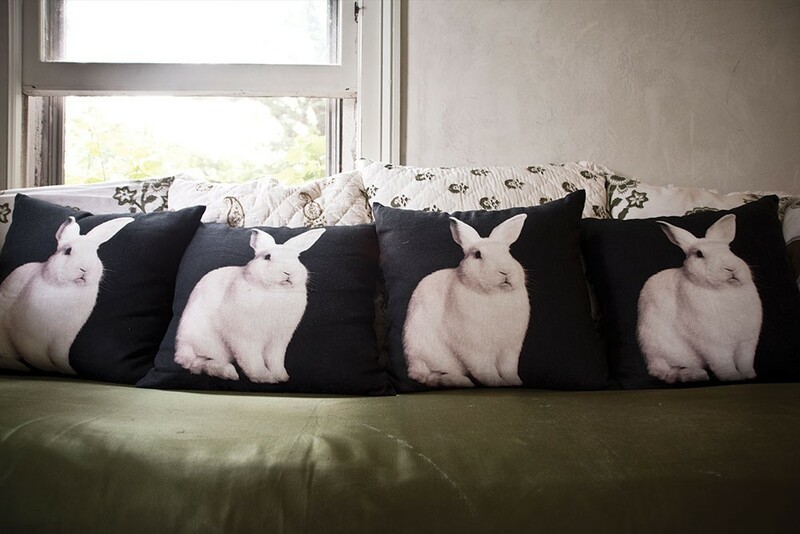 A row of pillows printed with Shaff’s bunny portraits. Designed to be affordable and lived with, her compositions are simple yet singular expressions of each animal subject, and by extension, the humans that identify with them. Success kept her busy, but her heart never really left the Hudson Valley. 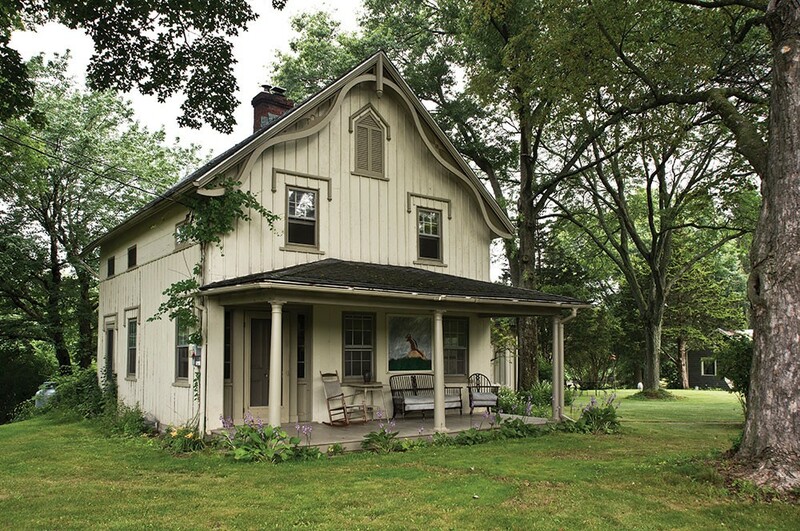 After years of alternating between traveling for work, her Manhattan apartment, and weekends in the country, Shaff decided to buy a full-time residence upstate. With the same patience and clarity of vision she utilizes in her work, she searched out her house. "I wanted a refuge," she explains. "I was single and wanted a place I could be comfortable with on my own." The library and study area of Shaff’s home. True to the spirit of gothic architecture, the home’s ample doors and windows invite the outside in. “One of beauties of being in the woods is affirming your own romantic natural essence—your animal being,” Shaff explains. The dining area of Shaff’s home overlooking the backyard. “In the warmer weather we live between the house, the out building, and the iron bed under a shade tree,” she explains. When she found the two-acre compound in Germantown, she was struck by its simple beauty and how much the aesthetic matched her own creative vision. 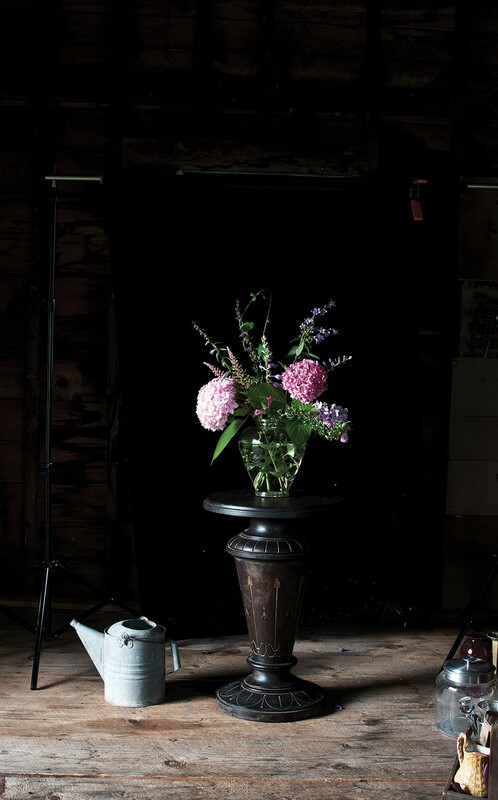 "It embodied harmony between the interior and the natural world," she explains. A covered front porch overlooked a yard with a giant shade oak. Scrollwork around the windows and a slight touch of gingerbread ornamentation accentuated the board and batten siding. Downing's ideals were also expressed in ways large and small throughout the home's 1,600-square-foot interior. The front door, with original twist doorbell, opened into a parlor with fireplace and wood floors. Through a library with built-in bookshelves was the home's pass-through kitchen leading to a 20th-century addition. "Every wall was covered in windows," she explains. 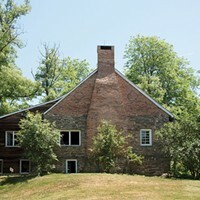 However, it was the second-floor landing at the top of the wooden staircase, with its row of casement windows and curved ceiling, that sold Shaff on the place. It was somewhere that was both comfortable and would allow her to live close to nature. She knew she'd found her place to roost, and bought the house in 2000. Shaff renovated and restored the home over the next few years, always keeping in mind Downing's aesthetic of simplicity married to usefulness. She stripped away dated wallpaper and repainted the walls, inside and out, shades of green. In the front parlor, a couch and high back chair sit next to the wooden mantel, where portraits of her dogs, gone but still beloved, watch over everything. She removed a wall between the kitchen and a utility room, raised the floor, and extended the ceiling to create an airy dining area. Benches sit beneath double-hung windows around a table with views to backyard and forest. French doors lead to an added deck and pergola where grapevines, wisteria, and roses engage in a slow battle for dominance. 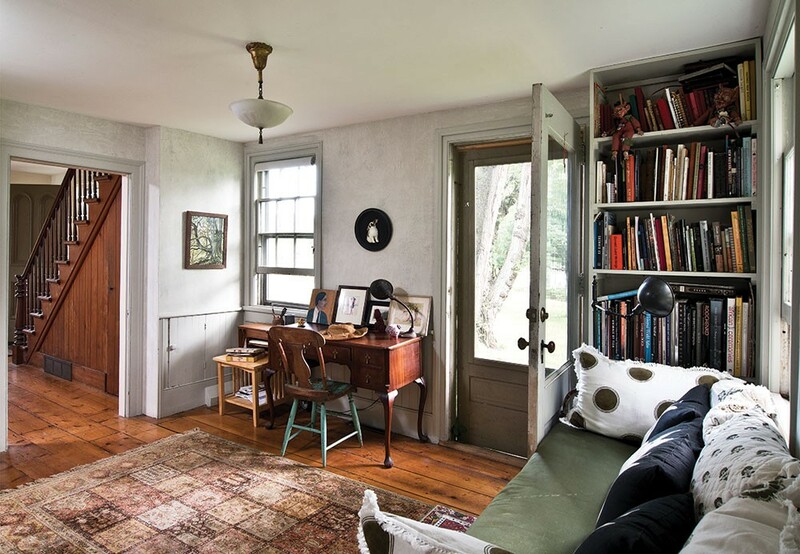 Shaff added rough-hewn wood floors and screened doors to an out building with high-peaked ceilings and a woodstove. It's been guest room, yoga and photography studio, and the site of much summer dining and dancing. Five years ago, Shaff married real estate agent Stephen Kingsley in the home's backyard. Valerie Shaff and Stephen Kingsley enjoying their front porch. Behind them hangs a painting of a chipmunk by outsider artist Earl Swanigan. Upstairs, the master bedroom overlooks the backyard through a large square window. Shaff took space from the second bedroom to expand the upstairs bath. It now contains a soaking tub perched right below another row of casement windows. Kingsley, a real estate agent in Hudson, relaxing next to a pillow printed with one of Shaff’s hawk portraits. 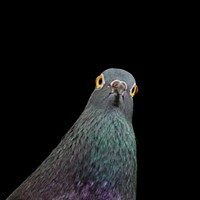 Many of Shaff’s bird portraits were taken at Green Chimneys Farm and Wildlife Center in Brewster. The addition is where Shaff does much of her production work. She replaced a large picture window with double-hung panes and added an additional row of windows to the northern wall. Here, a large work table dominates and it's one of the only spaces in the house without animal companionship. Instead, a portrait of wild flowers—the draft of another series—hangs on the wall in the midst of being carefully considered. Just as Downing advised, Shaff finds beauty and a certain symmetry in her life's unfolding. She finds herself sleeping in the same northwestern corner, along the same ridge above the river, as she slept in her childhood bedroom in Hastings. She's moved by the same western light as it bounces across the water, the anticipation of the seasons and the same sound of the train. "We live very close to the earth here," Shaff says. "It's a beautiful way to live." 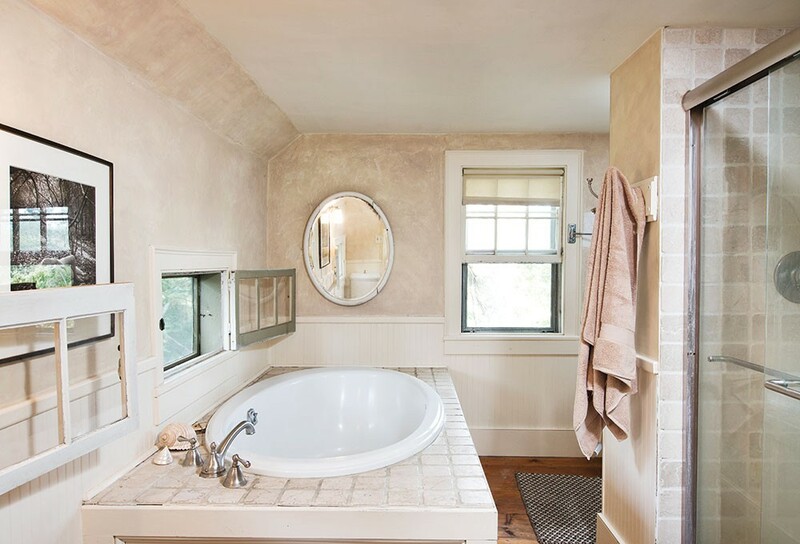 Upstairs, Shaff captured space from a front bedroom to build her dream bathroom. This includes a soaking tub with bird’s eye view out the casement windows. Like the rest of the house, the living room is decorated with Shaff’s images. She’s found that the photos that most resonate with people are analog images that are scanned and digitally printed. 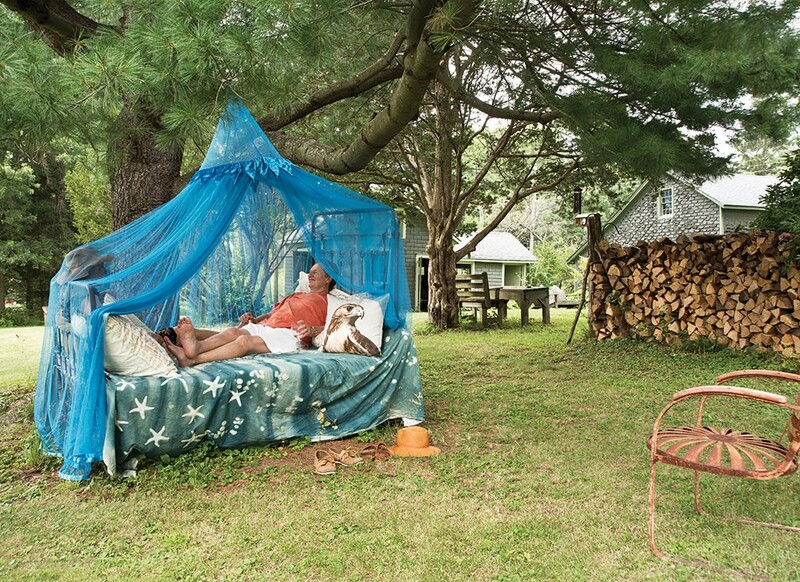 An iron bed in the outbuilding is decorated with Shaff’s owl portraits printed on pillows. 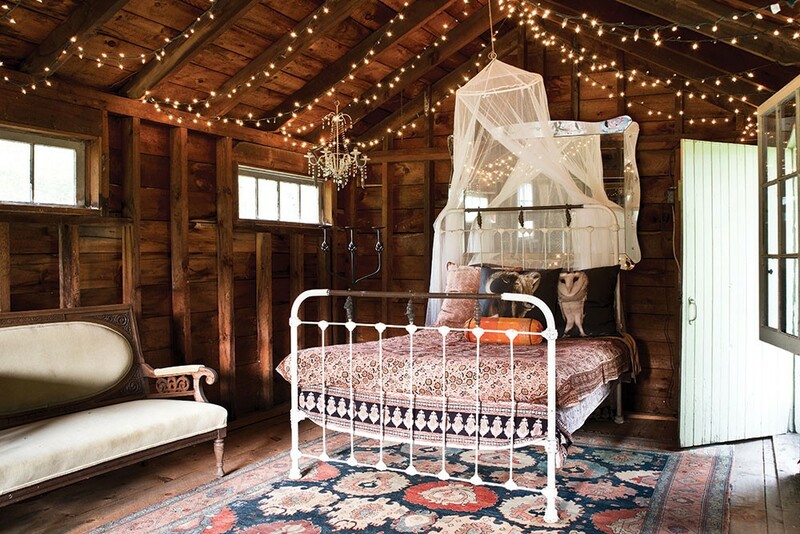 The property’s rustic outbuilding has been utilized for guests, as a photo studio and even for dance parties.